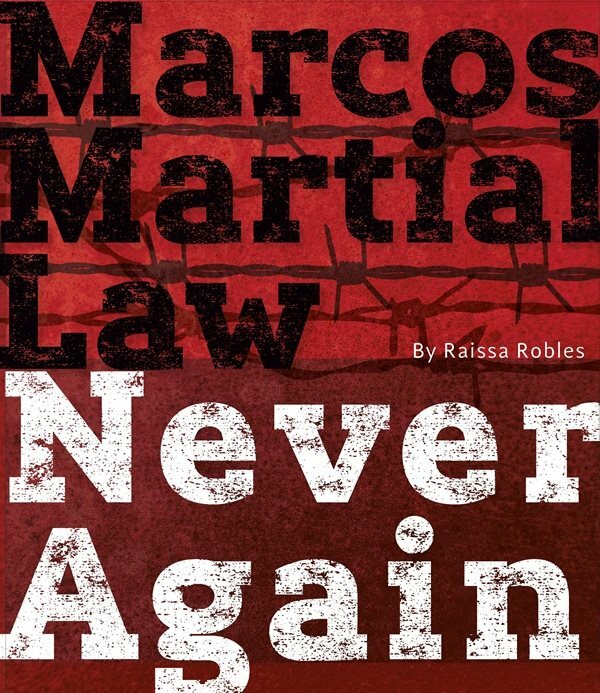 Raissa Robles, an investigative journalist most well-known for his popular political blog Inside Philippine Politics and Beyond, released today a new book about the Martial Law years under Ferdinand Marcos. Called Marcos Martial Law: Never Again, it's a 265-page page that offers a brief history of the human rights violations committed by the Marcos government. Among the stories contained in the book is that of a woman who claims to have been raped and detained as a comfort woman by a military officer. The book was soft-launched last February. It was released during an event today (April 4) that was held at the Balai Kalinaw (Ikeda Hall) in UP Diliman. Robles attended the event where she signed copies of the book. There are two available editions of the book. There's the collector's edition which is a hardcover coffee table book with full-color illustrations. It retails for 2,500 pesos. And then there's the student's edition that retails for 300 pesos. For information on how to get a copy, visit the official Facebook page for the book here. The Facebook page for the book has also posted several excerpts from the book. Here's the Table of Contents for the book. This may help in giving you an idea about the contents of the book.